Farmer, municipal official, immigration agent, MLA (1888-1892), MLA (1892-1895), MLA (1900-1903). Born at Pembina, North Dakota on 23 November 1849, one of thirteen children of American parents, he was educated at St. Boniface and, in 1870, he married to Leocadie Carrierre (?-?). They settled on a farm in the Parish of St. Pierre, south of Winnipeg. 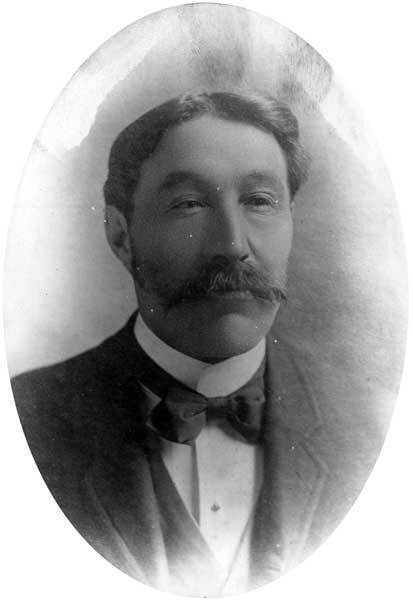 He was the first Reeve of the Rural Municipality of DeSalaberry and, after being defeated in a June 1883 by-election and the 1886 provincial general election, in 1888 he was elected for the Carillon constituency, being re-elected in 1892 and 1899 but defeated in 1896. He assisted in organizing the first Manitoba Liberal Association, along with Daniel McMillan and James Fisher, and he served as a federal immigration agent in France and Belgium for several years, and a homestead and forest inspector. He was a vigorous supporter of separate Catholic schools. He died at St. Boniface on 22 July 1936 and was buried in the St. Norbert Cemetery. “Martin Jerome, former member of legislature, dies,” Winnipeg Free Press, 24 July 1936, page 10. “Many attend funeral of Martin Jerome at St. Norbert, Saturday,” Winnipeg Free Press, 28 July 1936, page 20.